Most interesting thing about the photo? American Pharaoh and Victor Espinoza are clean! 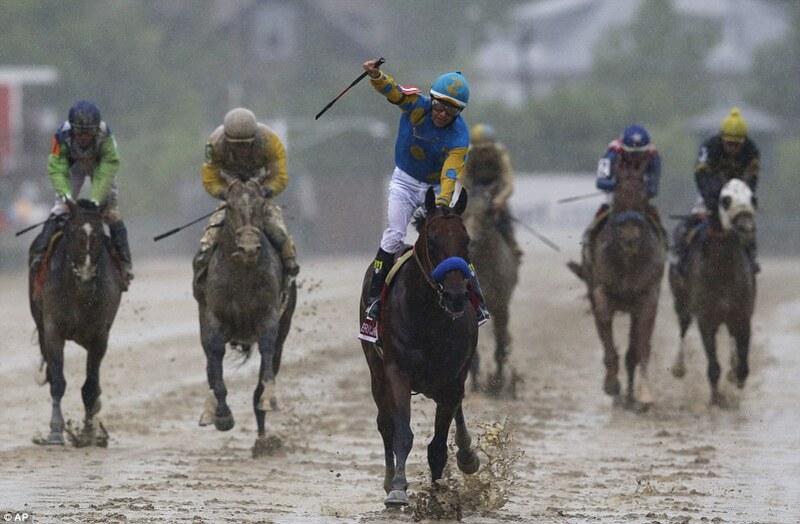 Today in Baltimore the track was very wet — beyond “sloppy” — and Victor Espinoza was worried that American Pharaoh wouldn’t like getting mud in his face. So he made the decision to hustle American Pharaoh out of the gate and bring him right to the front. Turned out to be a great plan. American Pharaoh overcame the disadvantage of breaking from the number one post position and won by seven lengths. Interesting to see him run a completely different race than he did in the Derby. What an adjustable horse who really listens to his jockey. How exciting to go into the Belmont with a horse this good poised to possibly win the Triple Crown.